Originally created for Ludum Dare 26, QbQbQb began life as a basic ‘rotate the planet to stack three blocks of the same color’ – that’s it, no fancy fireworks or nifty features. It was fun, no doubt about that, but you can only do so much within a 48 hour time limit. As such, Rezoner Sikorski decided to continue working on his submission after the competition, and just yesterday, a bigger, bolder – and premium – version was released. While you’ll still be rotating the planet, stacking three blocks of the same color to prevent them from growing high enough to leave orbit, so much has been added that this version makes the LD entry seem like an early alpha build by comparison: split-screen multiplayer, several difficulty levels, the ability to speed everything up or slow it down; and if you don’t like the colors, change them! 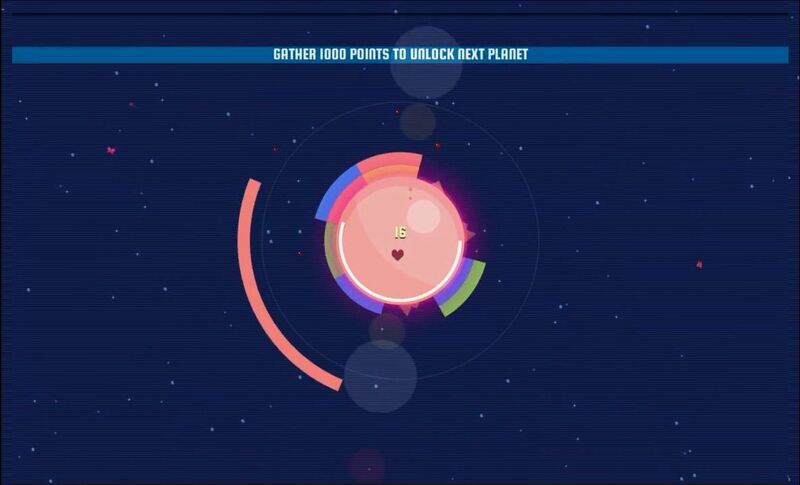 Based on the demo, there seems to be a total of six planets to beat, each with a unique and rather challenging block formation to master. Just remember that you have the ability to manipulate time, and things should flow smoothly. Oh and watch out for meteors. What? I’m serious. These bloody things will show up now and then, threatening your stacking efforts (burn baby burn!). So, ready to spin planets and stack blocks? Off to the QbQbQb website you go then, and here’s a link to the original Ludum Dare 26 entry.